Thank you for writing to us! We promise to answer as soon as possible. 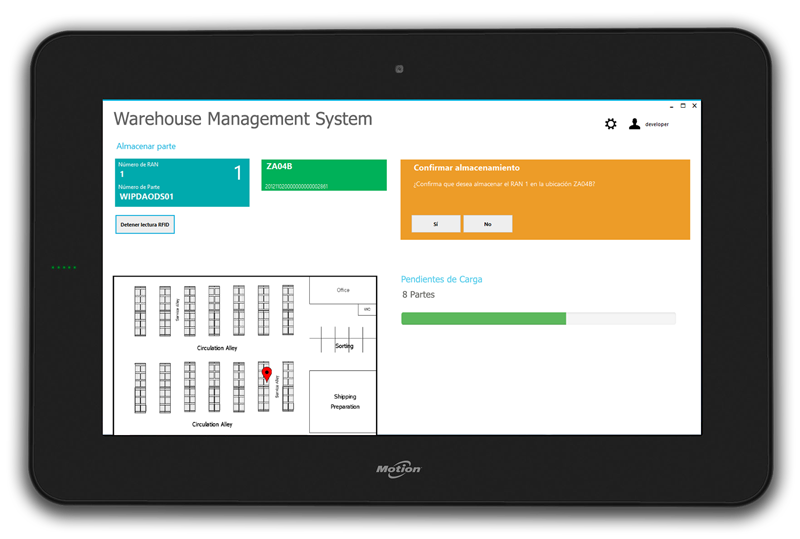 The Warehouse Management System, was developed for our client SoliSYSTEMS, in order to be used in the mexican plants of a car manufacturing company. This system solves the needs of the plant to check in and control the arrival of shipments, manage the location and movement of palletes, and provision of information about the stock and correct consumption order of the parts to other systems in the plant. The system had to be integrated into the company's current workflow and interact with other existing systems. The reception of the materials had to be controlled by a mobile worker by scanning labels with bar codes. The storage and movement of the materials had to be tracked in order to know exactly where was each material at any moment and the quantity existent in the warehouse. Finally, the materials had to be consumed from the warehouse in the exact same order than they arrived, so the WMS had to provide this information to the Primary Supply System (another system developed by us). A mobile application running in a Honeywell PDA. A web application, for administrative purposes and for the provision of the web services. A Windows application running in a tough table PC, and mounted in the forklifts. 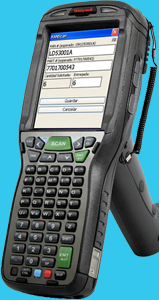 The control of the received materials is made by using a mobile application running on a Honeywell PDA, with barcode scanning and RFID reading capabilities. This application was developed completely with C# on Microsoft .NET compact framework, and making use of the PDA manufacturer internal APIs for barcode and RFID reading. The material is then scanned in order to check it in and also to control the quantities of materiales received against the original order. This information is sent from the PDA to a database of the system and then synchronized with the central system the company uses to track orders worldwide. 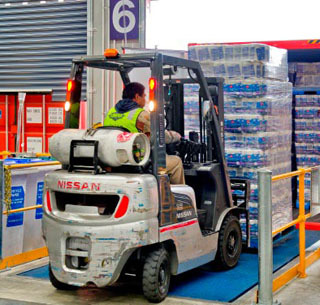 Once the material has been received and controlled, the forklift worker appears in order to store the material. Each material to be stored is scanned with the PDA in order to select it and then placed in the desired location. The forklifts are equiped with another application running in a touch screen tablet computer that provides the operator with important data about the parts being moved. This application was developed also on top the Microsoft .NET framework, using C# and WPF (Windows Presentation Foundation). 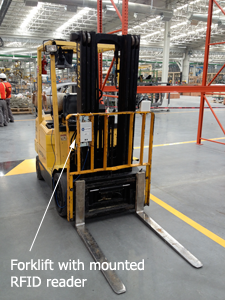 The different locations in the warehouse have been identified with RFID tags, and the forklifts are also equiped with an RFID reader. When the material is finally placed in the correct location, this is automatically registered in the system. Moving materials work in the same way, by selecting the material to be moved and then registering its location using the RFID reader. All the information is stored in a Microsoft SQL Server 2012 database and managed through a web application which provides administrators features to review the actions of the operators, generate reports and authorize users. This application has been developed in C# language and using the Microsoft ASP MVC framework. The WMS is capable of integrating with other existing systems in the plant. In the project, we had to first received the list of expected shipments from a corporative centralized system. 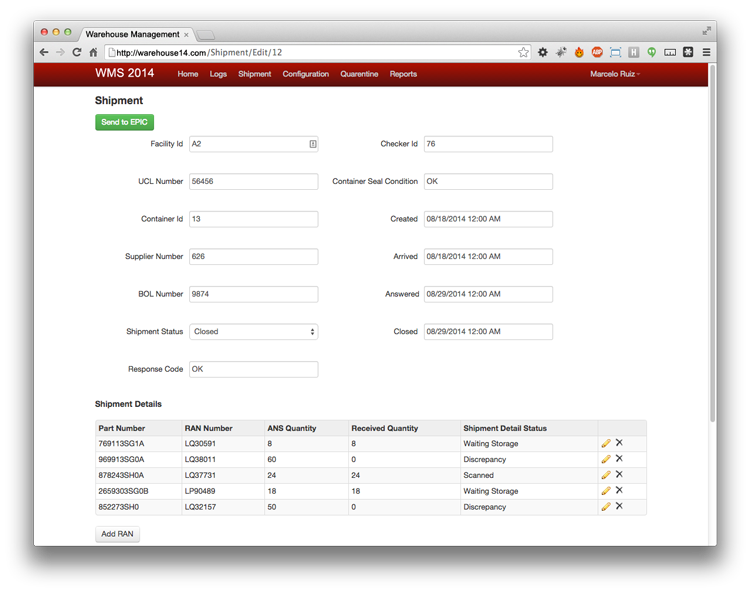 We did this by exposing a web service which the external system used to provide us with the shipments information. The WMS also interacts with the Primary Supply System (PSS). The PSS informs the WMS about the materials it needs to supply, according to the production plan. Then, the WMS answers the PSS with the information of the shipments where it has to consume those material, taking into account that they have to be consumed in the order they were received, and the location of them. The WMS also informs the warehouse operator if the consumption of materials has reached a critical stock point or, if a material requested by the PSS is in a high position that needs to be moved down with the help of a forklift operator.